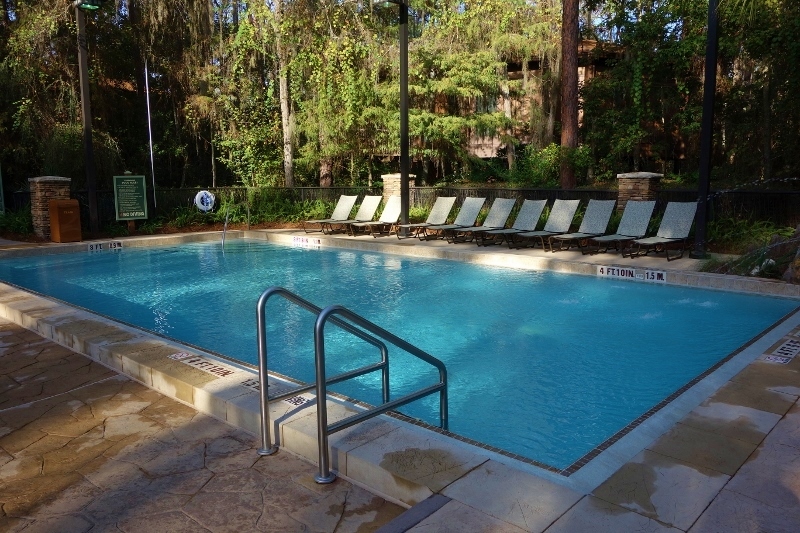 Disney’s Saratoga Springs Resort & Spa is a sprawling Disney Vacation Club resort, available to the general public for rent just like any other Disney World hotel rooms. Most of Saratoga Springs has four principal room types: Studios, One Bedroom Villas, Two Bedroom Villas, and Grand Villas. 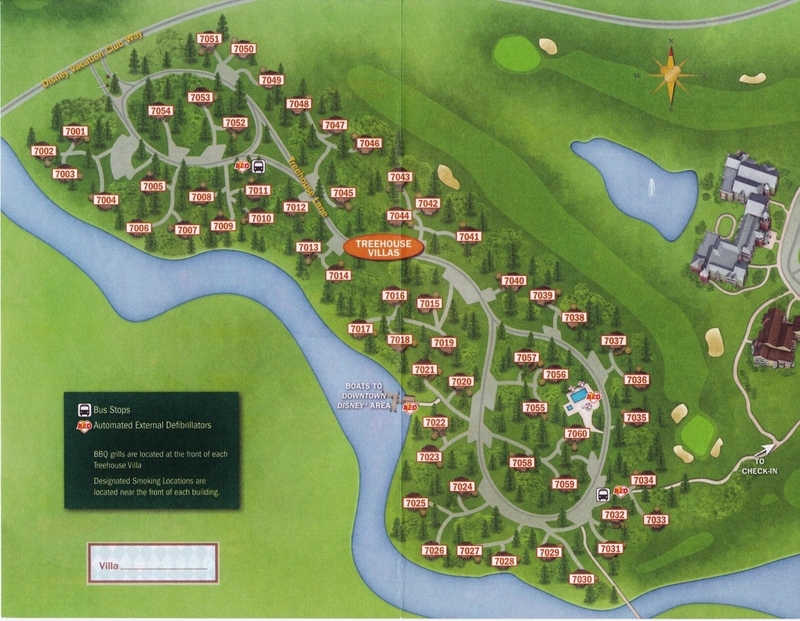 The review of the full resort and those room types is here. 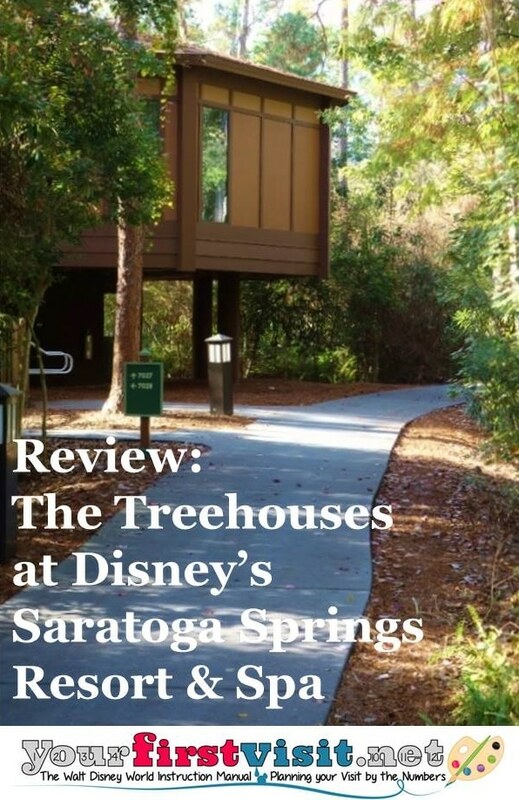 Though literally “off the map,” the Treehouse Villas at Saratoga Springs are so different from any other offering in all of Disney World, much less at Saratoga Springs, that even though there’s only 60 of them, they get their own review here! Much more on the rest of Saratoga Springs and its amenities begins here. 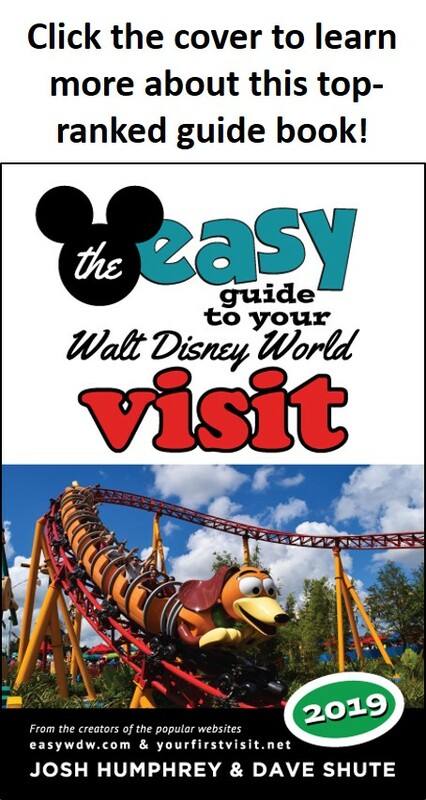 Kelly, the long-time travel agent partner of this site, can book your Disney World vacation at the Treehouses or anywhere else. Contact her by using the form on this page. Why are the Treehouses so different? 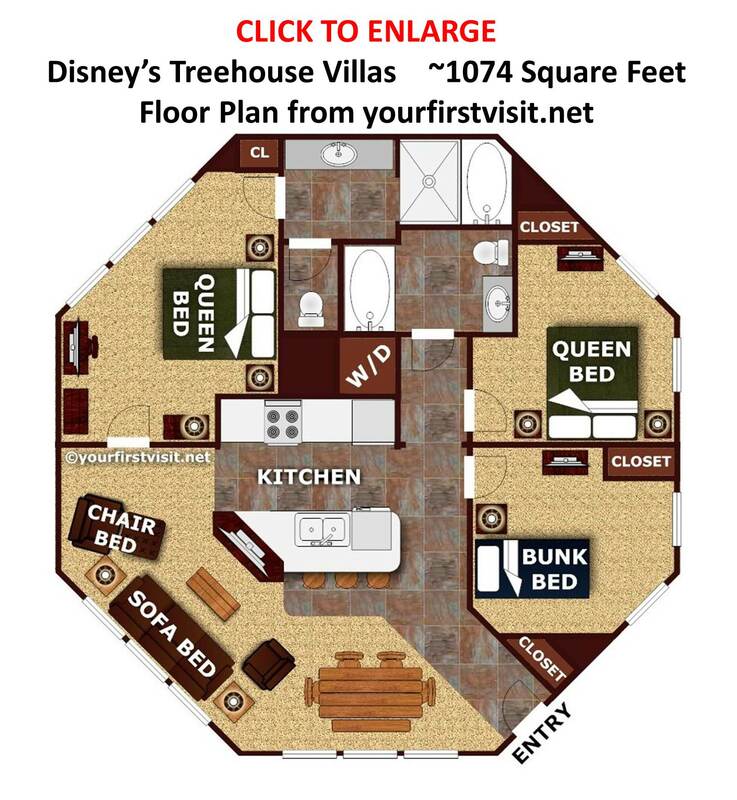 Most importantly, they are the only three bedroom offering at Walt Disney World priced near the same level as a Two Bedroom Villa. They have no more capacity than most two bedroom villas–they sleep nine. 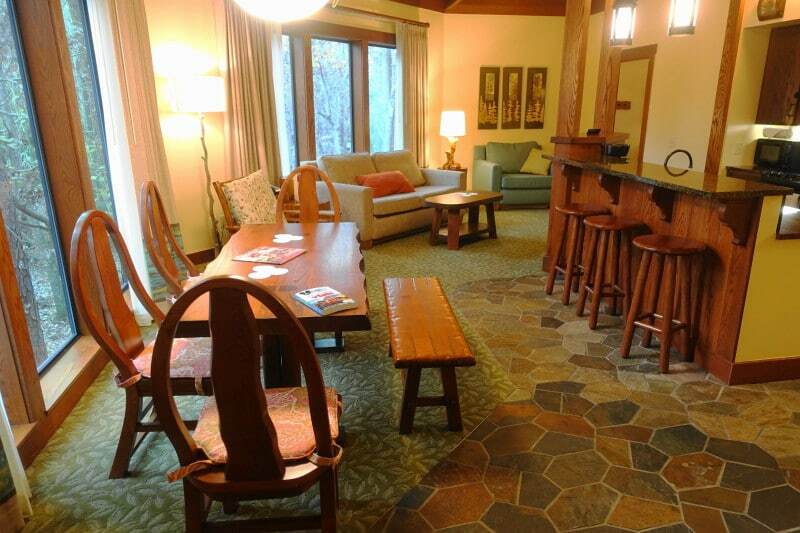 Moreover, among the DVC resorts, the living room/kitchen/dining room combo is particularly livable, bested only by the enormous spaces at Old Key West. See the floor plan for how all this fits together. 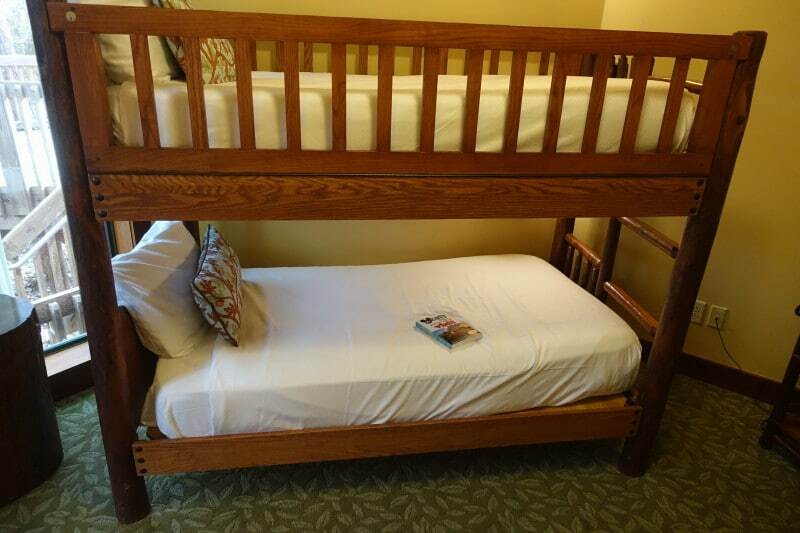 Now, to take full advantage of all these bedrooms, some folk have to be able to fit in the bunk beds, which I measured as 39 inches wide by just 66 inches long–although there’s about four more inches of toesy space beyond the 66 inches of mattress space. 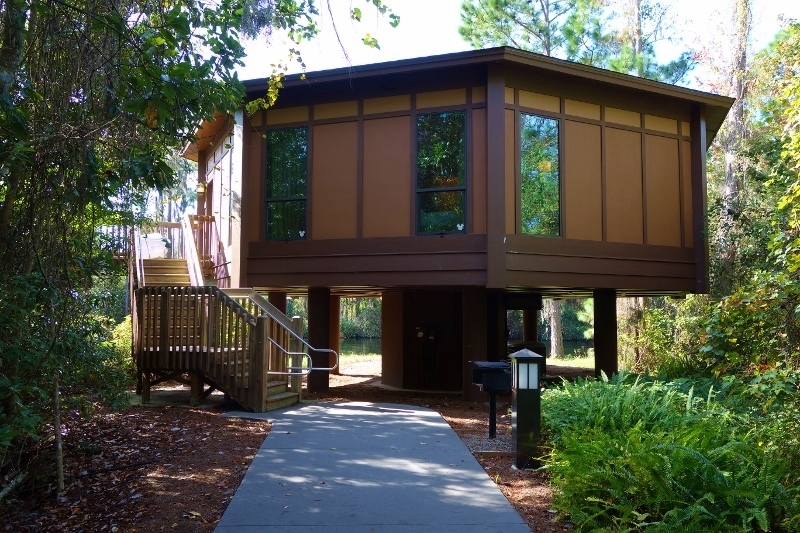 But many families or groups who can use the bunks will function better in four separate sleeping rooms, rather than three of the other comparably-priced two-bedroom DVC offerings. 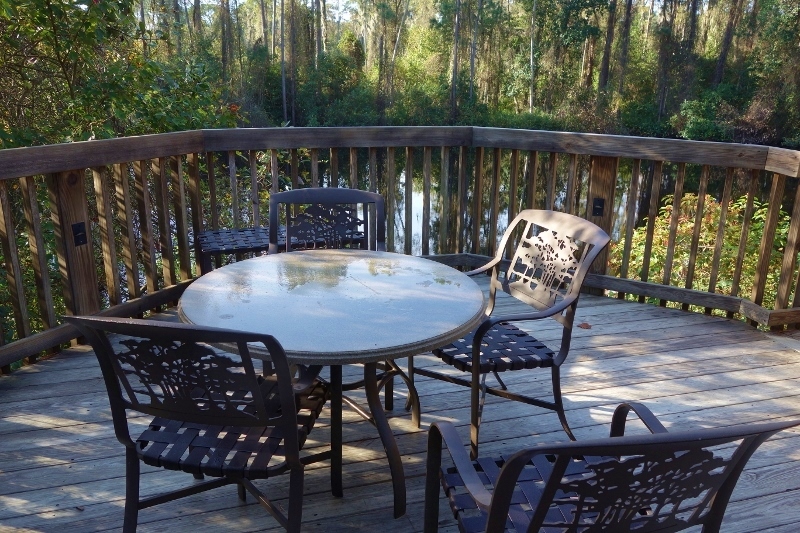 –Outdoor decks as big as you’ll find anywhere at Disney World. But the Treehouse Villas come with great negatives as well–negatives so strong that the Treehouse Villas are the bottom-ranked option for first time visitors. 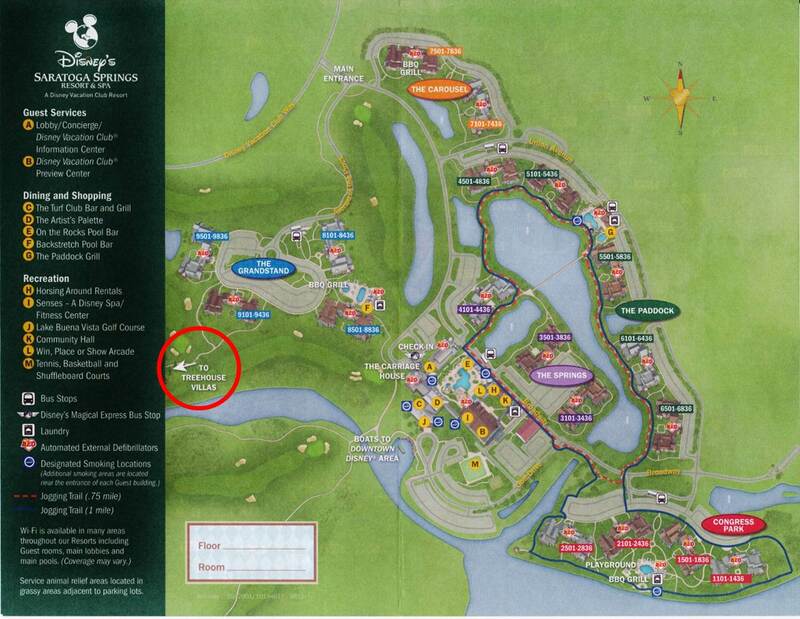 Saratoga Springs is a remote and inconvenient resort. 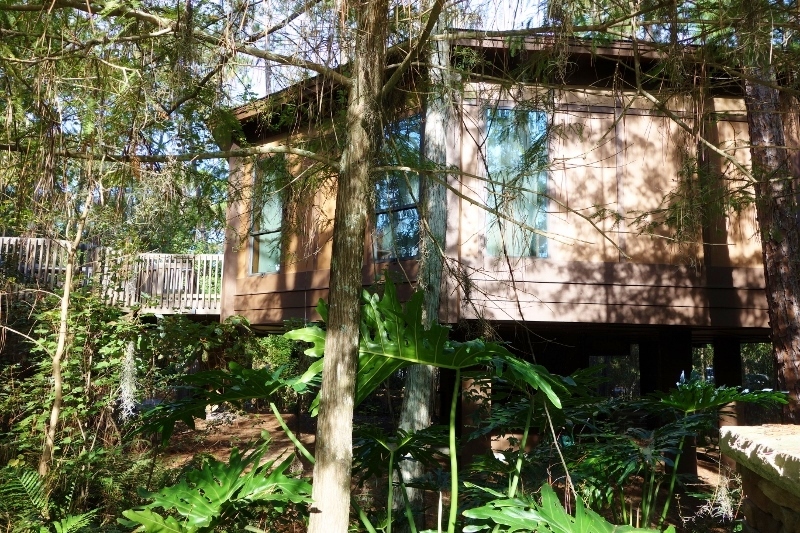 And the Treehouse Villas are the most remote and inconvenient of the Saratoga Springs areas–so much so that guests staying in them use internal buses to take people to Saratoga Springs itself (there’s also a walking path). See the map, with bus stops near the top and bottom. One of the charmless bus stops. 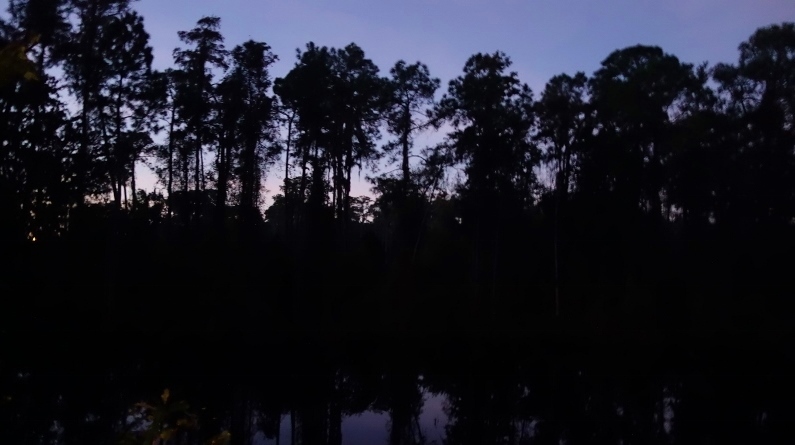 On my last stay–in January 2018, our third in a Treehouse and eighth at Saratoga Springs–I timed nine bus intervals, and the buses arrived between 17 and 23 minutes apart, with seven of the nine arriving between 18 and 21 minutes apart. 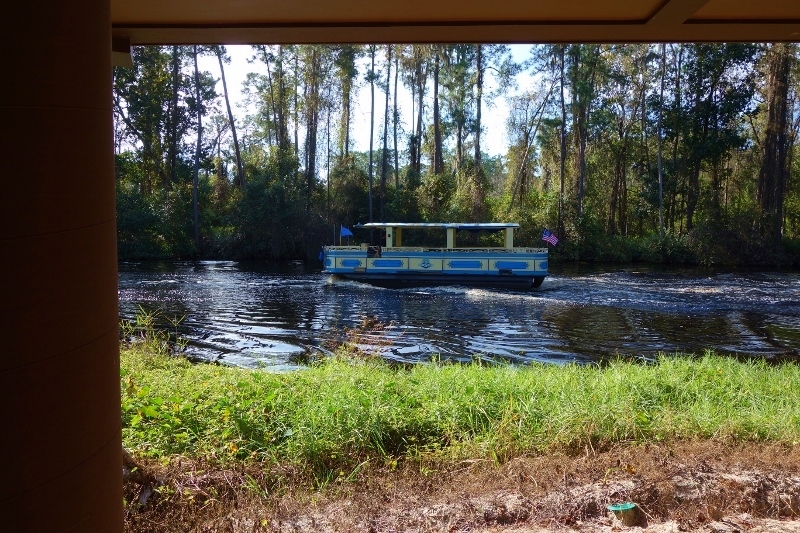 The remoteness does mean they have their own boat dock–that’s the Port Orleans boat, taken from beneath a Treehouse. 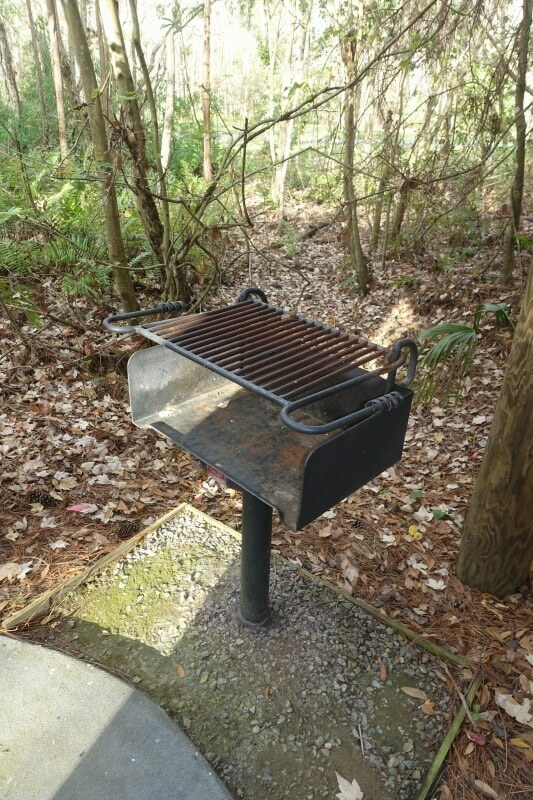 The dock is located between Treehouses 7021 and 7022. 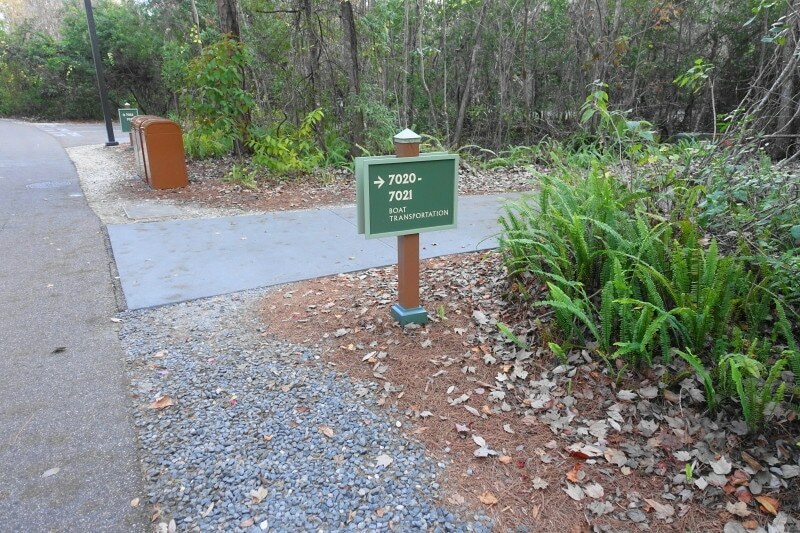 Walking traffic to the boat docks can make the area around Treehouses 7021, 7022, and especially 7020 a little noisy. 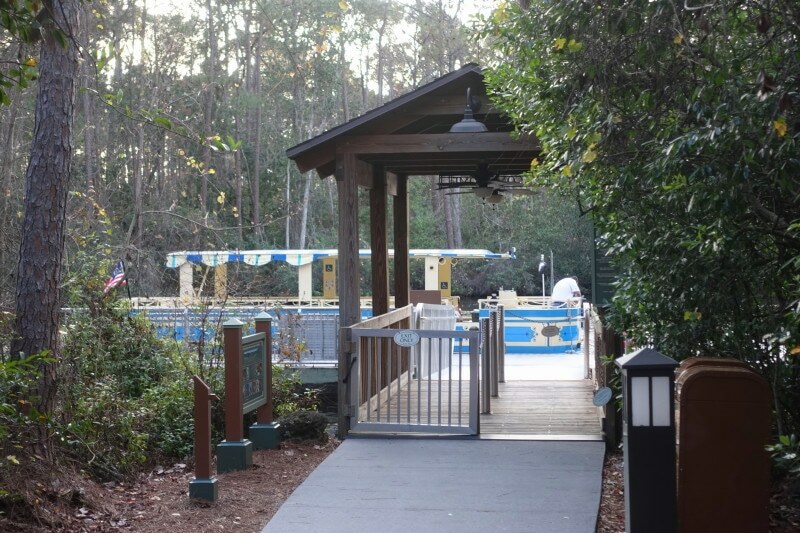 The Treehouse area also has its own pool. It’s tiny–but remember, there’s only 60 villas. 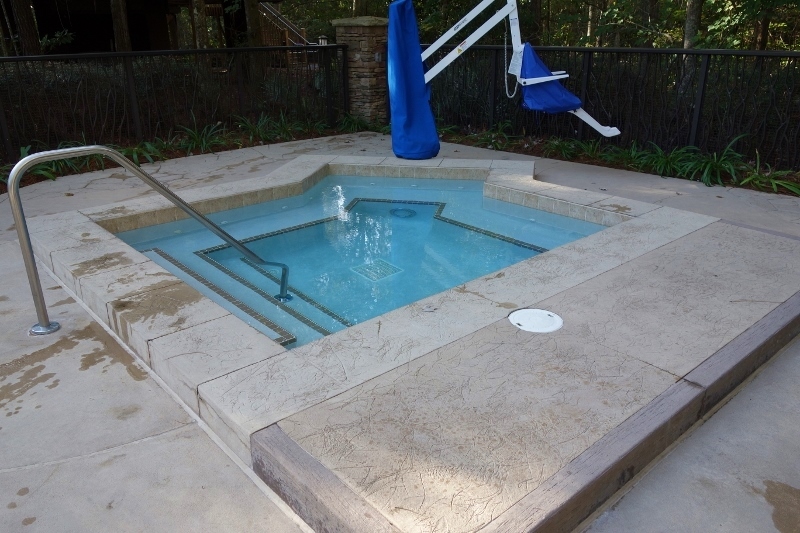 With the tiny pool comes a tiny hot tub. The nicer Grandstand pool is a 5-10 minute walk away, and the main pool at Saratoga Springs five minutes further than that. 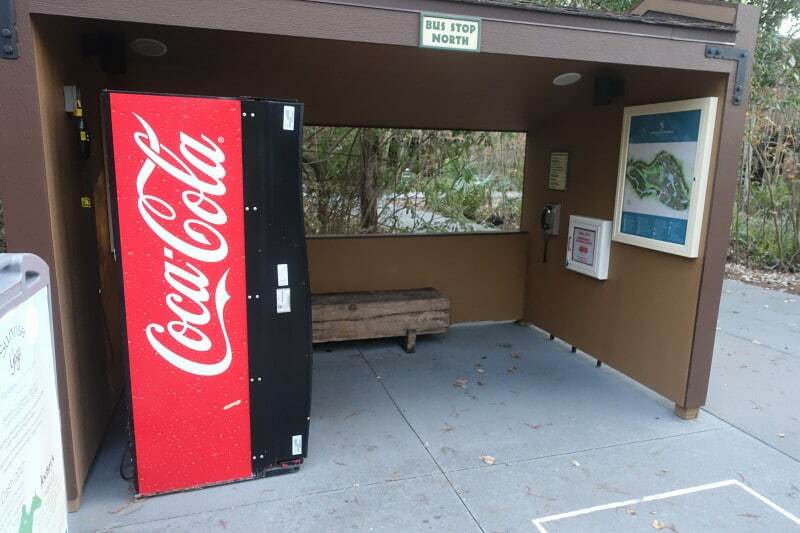 Also worth noting is that the exterior of the Treehouses is kinda ugly. I love these Treehouses for their remoteness, natural setting, and livability…but my, they are funny looking!